An exciting fundraising show where the kids are the stars! Performing in Groups, the kids simply step on-stage with their friends as they join the professional cast of the JUST SING! show to sing a favourite song! 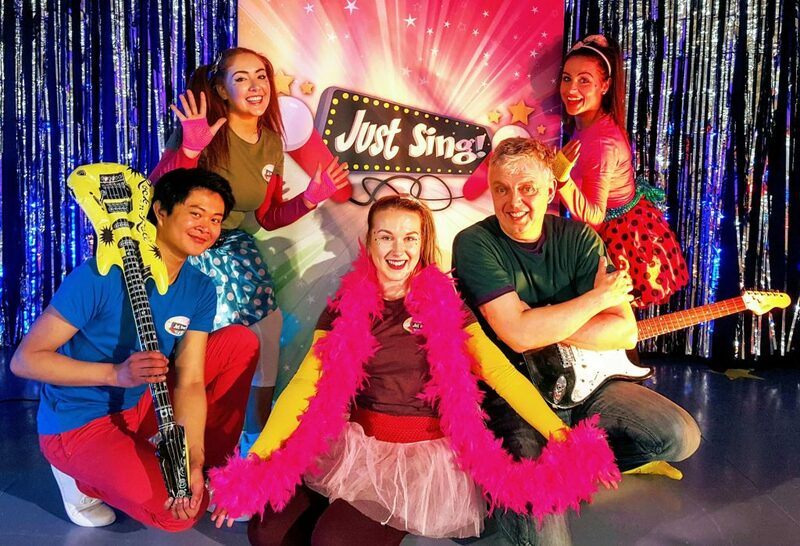 Supported by presenter Doug Murray aka Electric Eddie (RTÉ 2FM/Q102) and a professional cast of ‘Hi-5’-style performers the kids can truly enjoy their time in the spotlight! 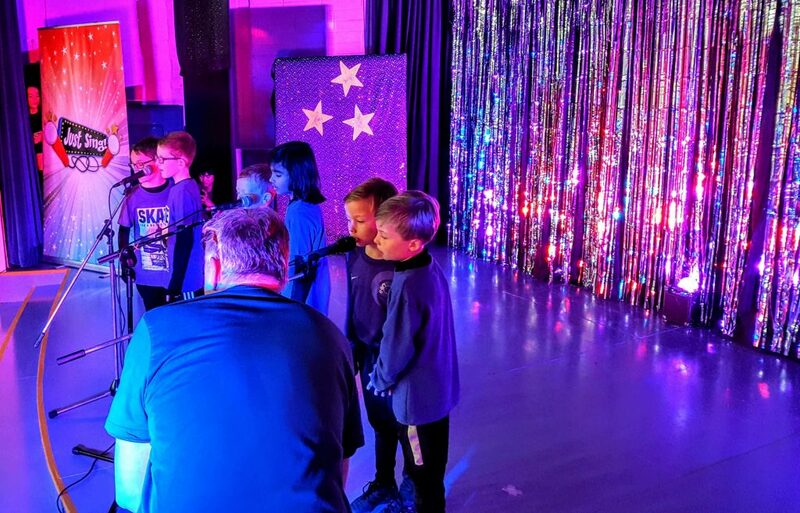 And with exciting audio visual production, big screen lyrics, high-energy audience interaction and a choreographed show, all the kids have to do is take their place alongside the professionals and…JUST SING! But the best bit is we come to you to get the kids show-ready so your event can be ready in just 5 weeks and only requires 3 REHEARSALS!